Please feel free to call with any questions in regards to our complete product line. We welcome your questions to help with any concerns you may have. Call 772-257-5918 or email us at support@canvasandmetalprints.com. Below are a few Q & A's about our Metal Prints. Q. What are Metal Prints? A. Metal prints are an exciting new high definition display option that transforms your photos into vibrant works of art. Our aluminum photo panels have an extremely durable (100 Year Archival Life} – flame, scratch, stain, UV resistant and waterproof surface that can be cleaned easily with a soft damp cloth. They are an excellent choice for commercial, fine art and home décor applications. Our revolutionary metal printing process infuses your image directly into an .045" aluminum sheet of metal with a proprietary polymer coating giving it an extremely vivid, luminescent 3D appearance that makes your photo literally pop off the surface. They are certain to turn heads and truly stand out anywhere. Q. Will my metal print include a mount or easel? A. There are several mounting options available according to the product and size you choose. Select your appropriate choice during “Create Now” process under the Mounts/Frames option. Many options are available so select carefully. NO MOUNT is the default so make sure to make a selection unless you want no mount on the back of your metal print. Q. What types of surface finishes are available? A. Choose from a variety of sizes in three different finishes: Gloss White, Semi Gloss White and Clear Gloss. Scroll down the appropriate “Create Now” page for finish details while placing your order or visit the HD Metal Prints page. Note: Currently, not all surface finishes are available on every size metal print. Q. Is my metal print durable and easy to clean? A. YES! 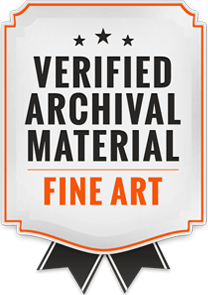 Your metal print has an extremely durable (100 Year Archival Life) – flame, scratch, stain, UV resistant and waterproof surface that can be cleaned easily with a microfiber or soft cotton cloth. If needed, use a damp cloth and then wipe dry. Q. Can I hang my aluminum metal prints outdoors? A. YES – Your metal print has a moisture and UV resistant surface that looks great outdoors. However, it’s best if they are hung in shaded areas. Direct sunlight with longer exposure to UV rays will eventually cause the colors to fade slightly. Q. Where do I enter my promo/discount code? A. Simply enter your promo code in the Discount Codes section, of the shopping cart, and click Apply Coupon at the time of checkout. Q. What is your Shipping Policy and Processing Time? A. Please visit our Shipping and Processing page. Q. What it your Return Policy? A. 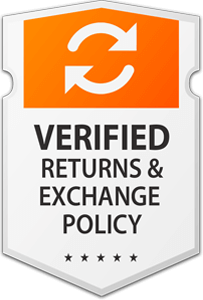 Please visit our Return Policy page. Q. What forms of payment can I use during checkout? A. Visa, MasterCard, Discover and American Express. Q. 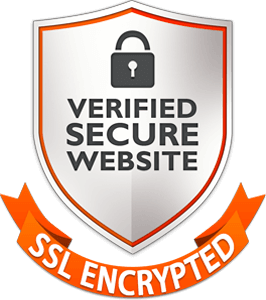 Is your website and shopping cart secure? Q. Does your online designer work with Mac and PC? A. Our online design studio was built on HTML5 and is NOT based on Adobe Flash, hence users can use it on iPhones, iPads, any other tablets or mobile devices. Customers can personalize designs and place orders, on the go, using the same feature rich designer tool. Q. Can I use photos off my smartphone? A. YES – but it’s best to keep a few things in mind. Smartphones with higher megapixel sized cameras produce higher resolution metal prints. Most new smartphones have 5 to 8 megapixel cameras… and even higher. An 8 megapixel image will produce great metal prints up to a 16x20. For the best images, do not to use the zoom function on your smartphone or crop the final image too tightly. Check the image resolution on your smartphones camera and shoot photos at the highest resolution possible for best results. Q. What file type/format can I use when uploading my images to your online designer? A. It’s best to upload your images/photos with an Adobe RGB 1998 color profile in either a .jpg (jpeg), .tif (tiff), or .pdf file format. Q. Can I order prints using images from an outside source, stock art provider, photographer or artist? A. ONLY IF YOU OWN THE COPYRIGHT TO, OR HAVE AUTHORIZATION TO USE THE IMAGE. CanvasAndMetalPrints.com respects copyrights. 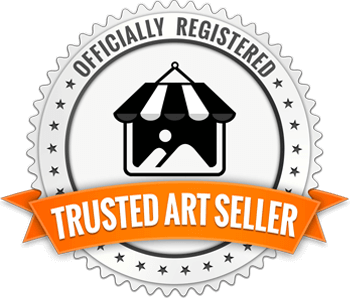 By submitting any image to CanvasAndMetalPrints.com, you agree that you are the copyright owner or have received the rights or license, from the copyright owner, to submit the image(s) to us. In addition, by submitting an image, you authorize CanvasAndMetalPrints.com to perform the activities requested, by you, and agree to defend and indemnify CanvasAndMetalPrints.com from all expenses and liability arising from CanvasAndMetalPrints.com performing such activities regardless of anything including legal theory, statute violation, our negligence, or otherwise. Checking out on our shopping cart is deemed as your acceptance and authorization to the above stated agreement and is treated as a photo release agreement. A. You can change or cancel your order by clicking the garbage can icon, in the shopping cart, before you submit your final order. However, once the order has been submitted online we are unable to change or cancel it. Please verify everything, in the cart, is correct before submitting it.